The Brazilian masters of mind-blowing, psych-infused stoner metal, NETUNO DOOM, have returned with a new EP, the conceptually themed ‘The Universe The Prison‘. It has been over a year since we heard from the band – Adriano Alves (guitar, vocal), Hewerson Freitas (bass), and Bosco Lacerda (drums, samples) – when Riff Relevant premiered their video, “The Second Sun” (link), in July, 2017. In fact, that song is one of the five contained on the new EP, and two are bonus tracks. If you are already familiar with NETUNO DOOM, then you know that the trio are practitioners of remarkably thrilling music, merging heavy elements with glimpses of melodic shading. The band’s lyrical themes center around science fiction, futurism, and oft-times horror, among other subjects. If you are not familiar with them, then you are on the cusp of discovering an aurally unique entity, one that is not afraid to project themselves into the cosmic void to capture ideas for their music. It is from such expeditions that we are now tasked with inspecting the vast rewards they have obtained and used to create their latest movement of transcendental doom. The journey begins with the subtle space rock start of “The Prison“, which quickly escapes its tethers and catapults itself into the unknown. Crushing riffs propel us along, as fuzzy, synth-borne effects buzz like an engine’s hum, bringing us up to cruising speed with aggressive vocals intact. The drumming that takes place seems almost like a strong arm hacking away at the celestial curtain, keeping us from reaching the other side. All in all, a damned impressive launch into this EP. The song I mentioned earlier, “The Second Sun“, rises and shines its somewhat more peaceful rays, before it takes on darker hues and plods us forward. It is at this nexus that we are served one of this recording’s most powerful tracks, in my opinion, with the incredible “Galactic Empire Of Doom“. Doom and metal combine to mix the fuel for this staggeringly heavy, intense number, while the vocals… oh, the vocals! At times, Alves takes one hellish turn in them, going into a much more guttural mode, one that unquestionably qualifies as death metal in style. With this song’s eight-minute-plus playing time, it is one unforgettable event and, for me, a pinnacle of what ‘The Universe The Prison‘ has to offer. Longer running tracks are now the norm for the remainder of the EP, as the next pair of songs, “Black Wolf” and “Dead Planet” – the bonuses I eluded to earlier – are both lengthy, between the eight and nine minute mark each. The first, “Black Wolf“, is another album high point that matches the grandiosity of its precursor, with an over-the-top sludge start. From there, guitar riffs with outstanding tone soon take us into a full-on assault of speed metal and alternating vocal styles, from clean to harsh and back, or on top of one another at times. Just a phenomenal track. “Dead Planet” is another stunner, comprised of monstrously dense riffs augmented with synth touches that add a classical feel at first. It does not last, as a flurry of faster paced music kicks in and we lurch forward with a push, from there spinning into a variety of musical styles and intensities. I must mention the drum work in this one, it is absolutely the kind that can make one’s jaw drop in possible disbelief. It is paramount to this song, of course, but the whole song is just amazing. Truth is, so many of the usual adjectives used to describe things, or to relay a sense of greatness like “incredible”, “amazing” and the like, fall short in doing proper justice here. Sure, they are fitting, but when compared to the actual music inspiring them… meh. 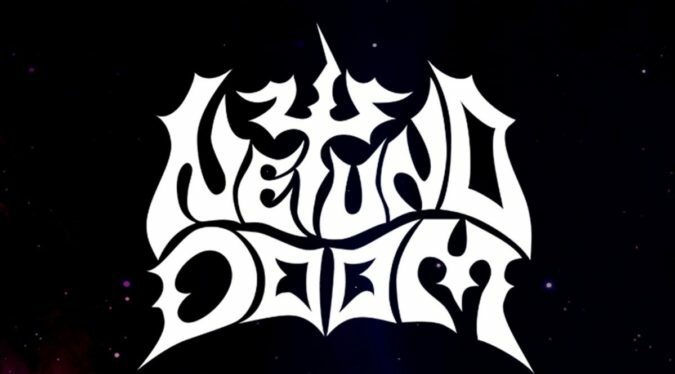 You just need to settle in and listen to the new EP from NETUNO DOOM, ‘The Universe The Prison‘, and I believe you will understand why I say that. Do that above in this review or go to Bandcamp for further streaming and purchase options HERE.